Located in the middle of the Solomon’s, The Florida Islands offer some of the best diving to be found any where in the Pacific. The Islands are about 35 km north of Honiara across the famous Iron Bottom Sound. Tulagi was the original capital of the Solomon’s but was severely damaged during WWII and was replaced by the new capital, Honiara, after the war. If you tire of diving and snorkelling, there are many things you can do in Tulagi and on the surrounding islands. Take in a fascinating WWII tours, picnic on a deserted island go fishing or meet the locals. Tropical average daytime temperatures between 25°C – 30°C. and evenings 19°C. Seasons are not clearly defined however November to April are the wetter months. Tulagi Dive offers shore diving around Honiara as well as boat dives around Honiara and Tulagi. 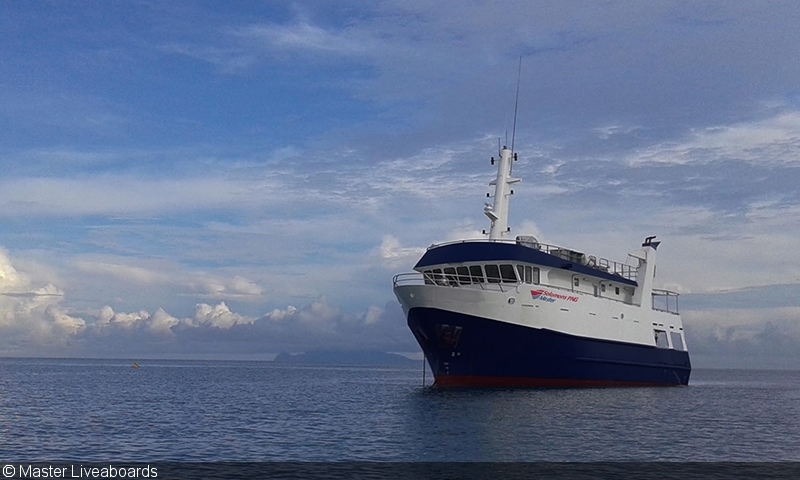 Based in Honiara, Tulagi Dive operates a 7.5m dive boat ideally suited for divers demanding a good stable platform for the deeper wreck dives. Island stays on Tulagi, for closer access to some of the reef and wreck dives in the area, can be organised for small groups. Nitrox and limited mixed gas facilities are available for the technical and more experienced divers. Some of the more popular dive sites in The Florida Islands. The tunnels are actually ancient lava tubes that start on top of a patch reef and drop vertically down to about 35m. The twin tunnels then join into one horizontal tunnel that exits on the reef wall at 40m. You are then greeted by a mass of fish that swarm around the reef including a lot of pelagic action. Sharks, dogtooth Tuna, Giant Trevally and Barracuda are common. A "must do it" dive! Also in Tulagi harbour rests the wreck of the only dive able New Zealand ship in the Solomon’s. The HMNZ Moa, a corvette that was influential in the sinking of the Japanese Sub at Cape Esperance. She's in good condition upright on a sandy bottom. Depth range: 35m - 45m. Solomons PNG Master "April Sale"
Fatboys Resort, Gizo "2018 and 2019 Special"